TouchStream is a tablet based system that provides verbal and visual prompting and sends notifications to caregivers. The system can be used as a tool to help family and team members monitor and manage medications, chronic health conditions, medical and other appointments and activities of daily living. The TouchStream tablet reinforces a sense of accountability and can enable people to be more independent and in control of life. Optional wireless health devices can take the anxiety out of tracking blood sugar, weight or blood pressure and can help reduce errors from manual logging. The tablet can also help create a safer living environment by helping caregivers detect problems early, before they become a crisis. 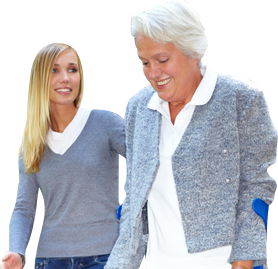 TouchStream’s web portal and mobile alerts empower caregivers with tools to help their loved one or client stay safe, healthy, and socially engaged. The tablet can assist people from all walks of life, including those with developmental disabilities, mental health issues, acquired brain injury and seniors. TouchStream empowers caregivers with the tools they need to help their loved-one or client to stay safe, healthy, and socially engaged at home.